There is nothing like being outdoors. We are so blessed to live in the beautiful Southern Oregon area where we have distinctive but mild seasons. If you have been following our journey, we purchased a fixer upper home. There really isn’t much around here that hasn’t/doesn’t need something done to it. AND, just when you are working on one project, you still have to maintain all the other parts. That brings us to our backyard. Originally, it really didn’t need tons done, like a total overhaul, but it is a good size, to us, yard to maintain. Plus, we have some elements that we want to incorporate. As we mentioned, we live in Oregon where it rains. So….while we were redoing a bathroom, the trees and flowers needed timing. While we were updating a yard sale chair, the crabgrass was thriving. And when we say thriving, we mean thriving. Last summer, 3/4 of our yard was taken over by crabgrass. 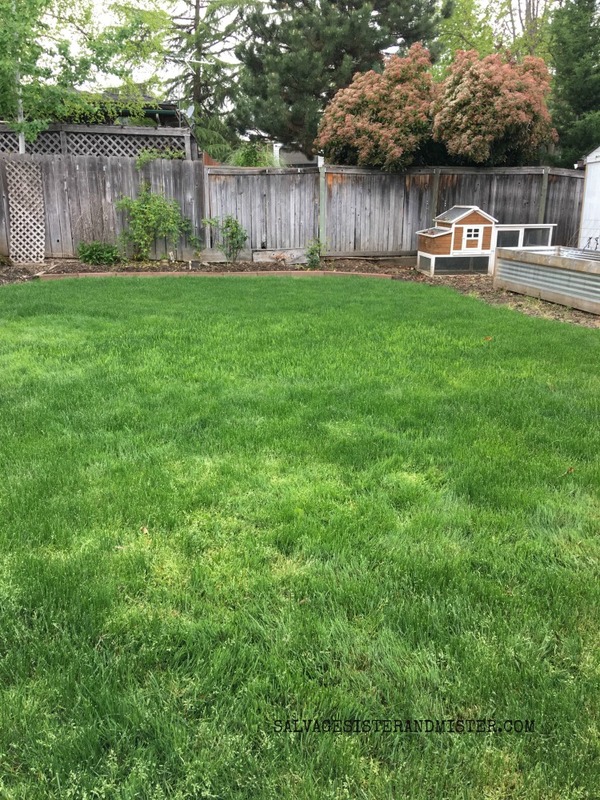 It literally took daily work, for months, to completely rid our yard of it. How? Hand picking it out by the root …for HOURS AND HOURS! We weren’t ready to completely drench it in chemicals and no other solution seemed right. That trash can was filled over and over and over again!!! 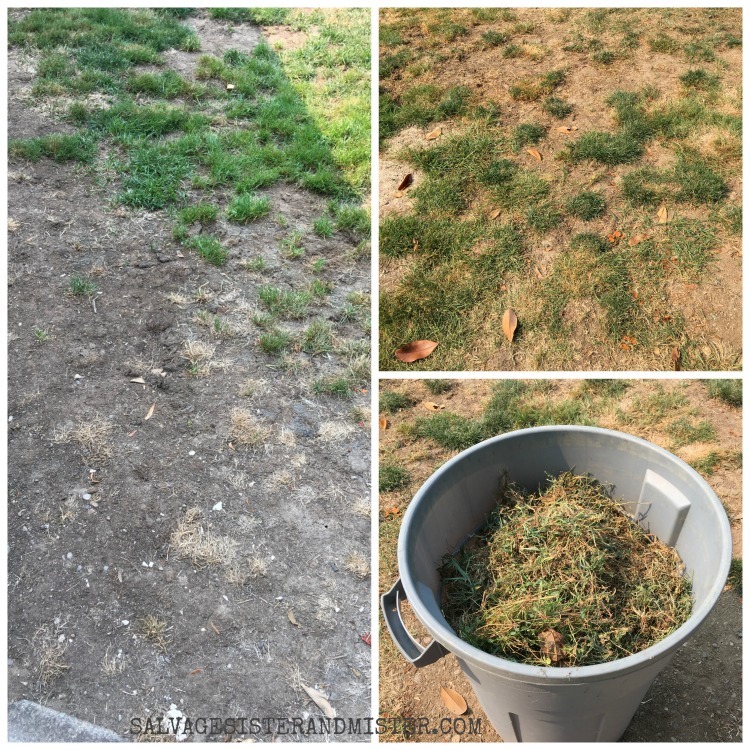 If we never see crabgrass again, it won’t be too soon! *We do use affiliate links, at no additional cost to you, to share the exact/similar products used in what we do. You can read our disclosure policy here to get additional information. Now that the grass is back in tip tip shape, we are ready to get a design plan down. 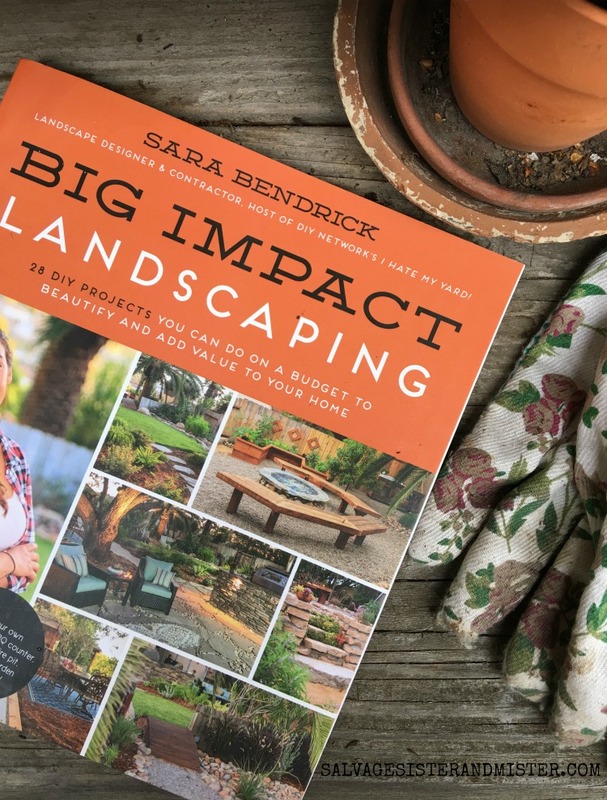 Sara Bendrick, author of Big Impact Landscaping, sent us her book to help us get some ideas for the rest of the yard. 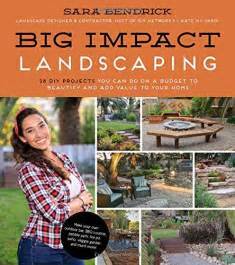 We thought the book would have some different ideas on general landscaping tips and such, but it was so much more! There are 28 DIY projects you can do on a budget to beautify and add value to your home. Of course, there is lawn, stone,, plants, and design tips as well. If you are looking for ways to update your yard, this is a handy resource. And as part of the Salvage Book Club, we will be giving away our copy to one reader. 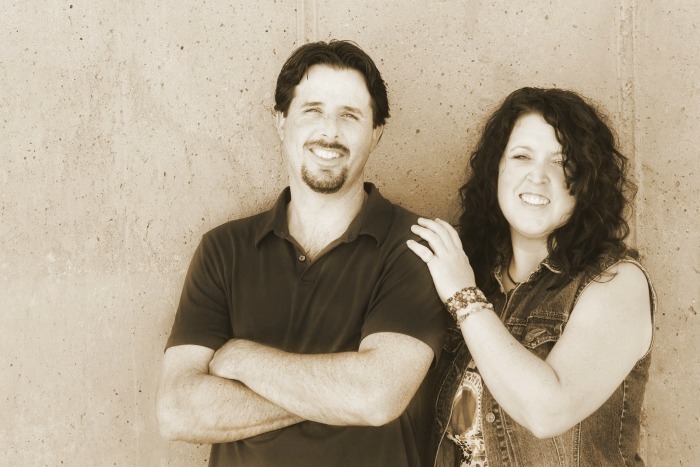 Comment – Tell project you are wanting to take on. Finally, and this is the most important, you must agree to share the book after you are done; that is part of the Salvage Book Club requirements. The more of these you do, the more chances you have to win. Please note, you must be 18 years old to enter. Sorry but we can only ship to US residents only. This giveaway is not associated with any of the social media’s. We do this completely to share a book with a reader. 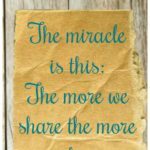 *If you are a blogger who wishes to participate in the monthly Salvage Book Club link up, you can add your post here through out the month of May. 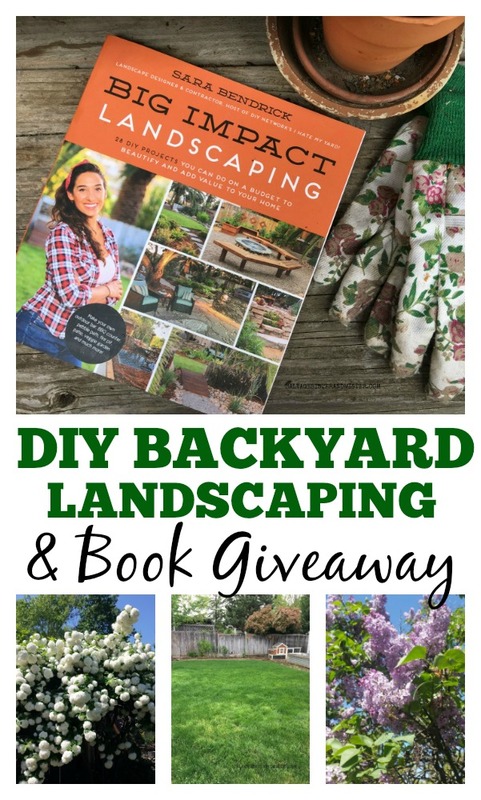 Remember, you must agree to give your book away to participate..
We want to incorporate a pit, an overhead structure for shade, and a meandering path. Thanks for the chance to win this awesome book ! You are so sweet to share a copy! My outdoor project list is too long for the comments section here! Thank you Jeanette…too funny on your project list. Mine is pretty long too. This is a fun giveaway! My husband and I have also purchased a fixer upper and landscaping/yard design is on the list for next year. This would very helpful! I did all of rhe above except for Twitter(i dont tweet) and the newsletter. I couldn’t locate where to sign up for that. Anyway, I love following you on Instagram! Thanks for the chance to read the book. Good luck on the giveaway At the very top of the page a bar should appear that allows you to sign up for the newsletter if you’d like to. Hi Lorie, You are the WINNER. Please contact me with your mailing address. Soon we will be moving to a new home with a yard that is a blank canvas. So we are looking for ideas to use. If I win, I will share this book with someone else who could use it. What a great concept! I’ve started working on a large, shaded backyard, putting in seating, flowers and plants in a variety of containers. Also starting a natural haven for birds. A big job on a fixed income. I keep looking at yard sales, junkyards, every place I can find interesting items. 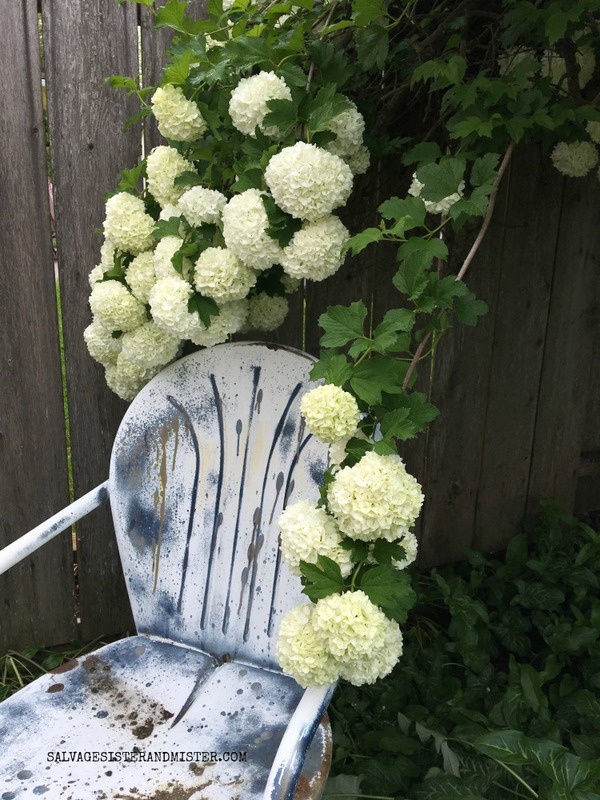 For example an old galvanized mop bucket filled with blooms. And yes I know my neighbors must think I’m crazy. It’s a challenge, never having had shade before. Yes I sure will share this book f I win! I’m. trying to create a outdoor garden room. I have a lovely redbud I started from a seed, a lilac, ferns, hosta, elderberry. Trying to grow vines on a ugly wire fence. I live in Medford too! My yard had a huge thatch problem, way too thick for simple treatment! I removed it all myself, by hand, approximately 4 inches deep, the whole front yard! Many, many, many trash cans were filled too! Now that it’s all gone I need ideas on how to landscape it!! The perfect solution could be in the book! Thanks for the opportunity! Jewlz, Way to go!!!!!!! So fun you are in town too. Would love to know how you found us.